Almost half of all social media users are using social platforms while thinking about making a purchase. Don't let your competition take their business. 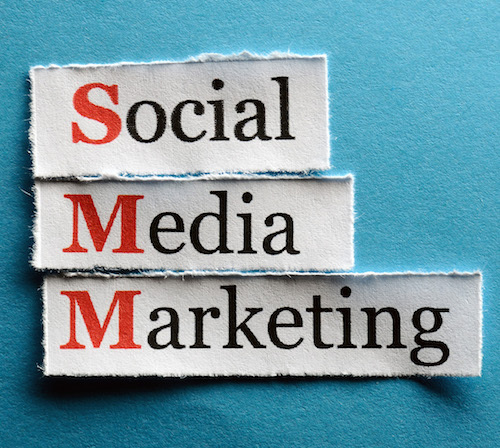 Using social media to drive consumers to your website will boost your SEO. Engaged social users visiting your website send clear signals to boost your quality score. Social media advertising is the most cost-efficient form of online advertising with the highest ROI for your advertising dollars. Build real relationships with your customers! Our content marketing service includes the frequent publishing of highly engaging content across one or more of your social networks. Our goal is to further engage your existing customers and promote referrals and repeat business. Through research and creative content writing, our professional staff will commit to creating and publishing a set number of engaging posts each week (or month). You can expect to see an increase in user interactions on your social networks, including more likes, follows, shares, clicks, etc. Our team will identify and track performance metrics to demonstrate month over month improvements. Our ad marketing service helps you prospect new customers through one or more of your social networks. Social network advertising offers demographic and geographic filtering allowing you to get in front of the most targeted audience. Our goal is to reach a new audience of consumers looking to purchase your products or utilize your services. We do this through the creation and distribution of design ads across your social networks as well as the publishing of relevant custom content to attract followers. You can expect to see an increase in user interaction with your brand resulting in new customers, and we validate this through our monthly reporting of engagement metrics. Most internet marketing companies want you to sign lengthy contracts for their service. Not us! We offer no strings attached because we feel confident you'll be satisfied with the results. We deliver monthly reporting that clearly outlines the return on your marketing investment, including number of clicks, cost per click, click thru rate and other valuable performance indicators. We understand that all marketing campaigns are not the same, so it's important to us that we work with you to build a solution that is just right for budget and needs. Our team has managed search engine and ad display campaigns for over 10 years, we know how to jumpstart them to get immediate results. Great customer service is at the core of our values. We commit to providing frequent communication and are always on standby to help you with any questions or requests. We don't ask for a minimum monthly advertising budget to utilize our services. We will work with any size budget and be very transparent how your advertising dollars are being spent.